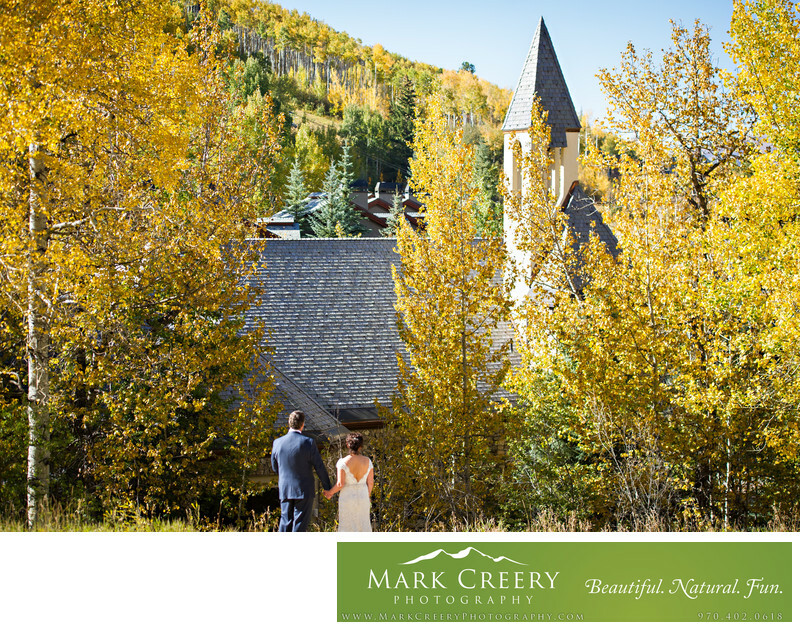 Get in touch with outdoor wedding photographer Mark Creery for your mountain wedding in Colorado. Mark excels at capturing your personalities while highlighting the beauty your venue has to offer. The Chapel at Beaver Creek is a beautiful spot for those wanting a church ceremony but with the benefit of beautiful mountain views within walking distance. There is a creek that runs alongside making for a secluded spot for romantic photos with the ski lifts right next door. This photo was taken at the end of September on a gorgeous warm day with the aspens in full color.